Yatskiv, Mykhailo [Яцків, Михайло; Jackiv, Myxajlo] b 5 October 1873 in Lesivka, Stanyslaviv county, Galicia, d 9 December 1961 in Lviv. Writer; member of the modernist group Moloda Muza. 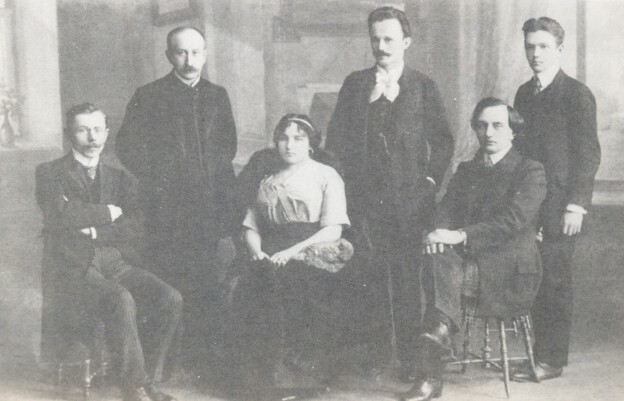 Yatskiv began his literary career in 1900 with a collection of prose miniatures, V tsarstvi satany: Ironichno-sentymental’ni kartyny (In the Kingdom of Satan: Ironic-Sentimental Scenes), which was influenced by Western modernists, and in particular Charles Baudelaire and Edgar Allan Poe and their predilection for the ‘darker’ elements in life. Yatskiv transformed these motifs into naturalistic sketches of the brutality of life. Besides other collections of miniatures and short stories (Kazka pro persten’ [Tale of a Ring, 1907], Chorni kryla [Black Wings, 1909], Adagio Consolante ) Yatskiv wrote the novelette Ohni horiat’ (Fires Are Burning, 1902), the social study Blyskavytsi (Lightning Rods, 1913), and the novel Tanets’ tinei (Dance of Shadows, 1916–7; repub as V labetakh [In the Clutches, 1956]). His longer works are on the whole weaker than his miniatures, especially the pretentious Blyskavytsi and the rather publicistic Tanets’ tinei, where there is more disenchantment with the bureaucratic milieu of the Dnister Insurance Society, where Yatskiv worked, than artistic creativity. 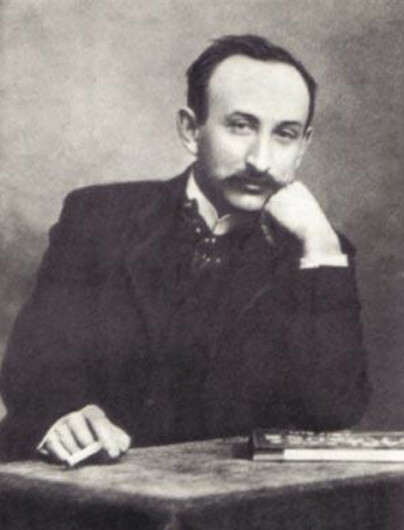 In 1921 Yatskiv edited the newspaper Ridnyi krai (Lviv), and after the Soviet takeover of Western Ukraine he worked in the Lviv Scientific Library of the Academy of Sciences of the Ukrainian SSR. A volume of his collected works, Muza na chornomu koni (Muse on a Black Horse), appeared in 1989.